I know that there are actually dozens or maybe even hundreds of web tools out there that allows bloggers to find out either how much their website is worth or a rating out of 10 based on multiple sources. Recently launched URL R*TE is not an exception. Grabbing data from several sources such as age of domain, Google Pagerank, number of inbound links and Alexa traffic rank. After entering your blog’s URL, it scans your webpage and finds the information they need. At the bottom of the page, you’ll see a site value report that shows you the estimation value of your blog based on the factors I’ve mentioned above. 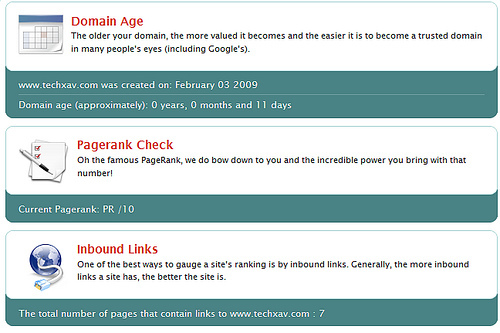 You can share URL rating with the readers on your blog by embedding the widget into anywhere you want. I’ve tried it out and guessed what – my rating was 1.87 out of a maximum of 10! That’s actually a failure but I’ve nothing to worry about since my blog is just around a week old and my Alexa rank and Google Pagerank isn’t that high as compared to my previous blogspot blog. KidTechGuru managed to clinch a passing mark of 5.19. So what’s yours?